Honduras has often been referred to as the 'Banana Republic'. The official name of the country is the Republic of Honduras. Honduras has no active volcanoes. Honduras is bordered to the west by Guatemala, to the southwest by El Salvador, to the southeast by Nicaragua to the south by the Pacific Ocean, and to the north by the Caribbean Sea. There is only one natural lake in Honduras, called Lake Yojoa. In Yoro, Honduras a strange phenomenon occurs where fish fall from the sky. It is called fish rain or 'Iluvia de peces'. As of 1 January 2016, the population of Honduras was estimated to be 8,136,000 people. Honduras has some of the highest amounts of coral reef in the world. Honduras has a total area of 112,090 square kilometers (43,278 square miles). The most notable Mayan ruins in Honduras are the Copan Ruins. Tegucigalpa commonly referred to as Tegus, is the capital of Honduras. It is a great example of Central American urban sprawl gone amok, spread out across very hilly terrain. Honduras national flower is the Rhyncholaeliadigbyana. Honduras is the Spanish word for 'depths'. Honduras national bird is the scarlet macaw. Generally mountainous, the country is marked by fertile plateaus, river valleys, and narrow coastal plains. Honduras national mammal is the white-tail deer. Cerro Las Minas at 2,870 meters (9,416 feet) above sea level is the highest mountain in Honduras. Honduras favorite sport is soccer. In 1969 an armed conflict broke out called the 'Soccer War' after a game between Honduras and El Salvador. Honduras covers an area of 43,201 square miles of land and a total of 43,278 square miles of total area (including water boundaries). Approximately half the population in Honduras is at the poverty line. Honduras has two coastlines – the Caribbean Sea coastline extends about 700 kilometers (430 miles), and the Pacific coastline which is about 120 kilometers (70 miles) long. The highest point in Honduras is Cerro Las Minas, at 2,870 meters tall. In Honduras the beaches are sparsely populated, making them perfect for any honeymoon or private vacation. The most beautiful beaches in Honduras have won recognition from travel experts for their powdery sand, turquoise waters and unspoiled splendor. The longest river in Honduras is Patuca River. Honduras' capital city is Tegucigalpa, which has a population of approximately one million people. Honduras has a subtropical climate in its lowlands and is temperate in its mountain region. Honduras is one of the most ecologically protected nations in Latin America. Twenty national parks and two biosphere reserves are paired with dozens of smaller reserves, which have helped to preserve the region’s most mountainous and forested country and the thousands of rare species that live within it. Located in the Mosquitia region of Northeastern Honduras, Río Plátano Biosphere Reserve is the largest protected area in the country with 350,000 hectares. The reserve has a number of endangered species and some of Honduras largest sections of forest. It has been a World Heritage site and biosphere reserve since 1982. In 2011, UNESCO placed the reserve on the List of World Heritage in Danger. Honduras' population is more than 8.3 million people. Honduras' flag has three horizontal stripes. The top and bottom stripes are blue to represent the Caribbean Sea and the Pacific Ocean. The center white stripe has five blue stars to represent Central America Union's five states. Honduras has 2 UNESCO world heritage sites. Copán is an archaeological site of the Maya civilization located in the Copán Department of western Honduras. It was the capital city of a major Classic period kingdom from the 5th to 9th centuries AD. Copán was declared a UNESCO World Heritage Site in 1980. The monetary unit in Honduras is the Lempira. It was named after an Indian chief that fought against the Spanish, and who died while trying to protect Honduras. Roatán is the largest and most developed of the Bay Islands. Once a well-kept secret, it is now a cruise-ship port and a popular vacation spot – especially for avid divers and snorkelers. A mountainous backbone undulates through the island’s center, and flourishing coral reefs fringe its shores offering superb opportunities for diving and deep-sea fishing. World-famous West Bay Beach is the longest stretch of easily accessible beach on the island. The official language in Honduras is Spanish, with many speaking English especially in business. There are also a variety of native dialects spoken in Honduras. Major agriculture in Honduras includes coffee, bananas, citrus, as well as cattle and shrimp. A hot spot for many tourists, the largest natural lake in Honduras offers many things to see and do. With its abundance of fish and bird species, Lake Yojoa is ideal for fishing and birdwatching. Travelers can also enjoy dipping in nearby hot springs, exploring caves, hiking to stunning waterfalls, touring coffee plantations and investigating ancient Mayan ruins. 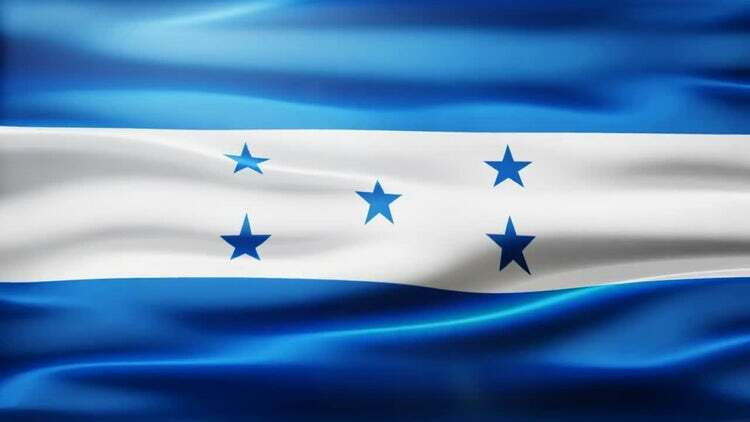 Honduras' Independence Day is celebrated on September 15th each year. A unique natural wonder, the waterfall at Pulhapanzak is an amazing experience. There are a number of amazing waterfalls throughout Honduras, Pulhapanzak is the largest, dropping about 43 meters (140 feet). It is located near Lake Yojoa. Major industry in Honduras incudes coffee, sugar, textiles, wood products and clothing manufacture. During the first millennium, Honduras was inhabited by the Maya. Columbus explored the country in 1502. Honduras, with four other Central American nations, declared its independence from Spain in 1821 to form a federation of Central American states. In 1838, Honduras left the federation and became independent. The economy of Honduras is based mostly on agriculture; coffee, bananas, mangoes, palm oil, corn, beans, rice, citrus fruit, and beef are the major agricultural products. Honduran cuisine is a fusion of indigenous (Lenca) cuisine, Spanish cuisine, Caribbean cuisine and African cuisine. The national dish of Honduras is a mountain of food, the plato típico: a heaping, carb overload of beef, plantains, beans, marinated cabbage, fresh cream, and tortillas. Honduras' natural resources include gold, silver, timber, zinc, lead, iron ore, hydropower, fish, and coal. One of the most intriguing events of Honduras are the Sawdust Alfombras of Comayagua. Each year, on the morning Good Friday using nothing but colored wood shavings the people of Comayagua create rich religious tapestries that are trampled into oblivion the moment they are complete. Major imports into Honduras include transportation equipment, raw industrial materials, food, fuel and chemicals. Honduras was formerly known as Spanish Honduras in order to differentiate itself from Belize, which had been known as British Honduras. Major exports from Honduras include clothing, shrimp, coffee, cigars, gold, fruit, and palm oil. Scarlet macaws were sacred to the Mayans. The scarlet macaw is the national bird of Honduras. Honduras was the first country to be called a “Banana Republic,” which was coined by the writer O. Henry. Phenomenon of Yoro Fish Rain is just too weird and looks like a hoax – but it is not! The fish rain takes place in the beginning of rainy period somewhere in May – July. It is not known when this phenomenon started – first reports are from the middle of 19th century, when first missionary Father Subirana came here. Food commonly eaten in Honduras includes peppers, cassava, plantains, tamales, and tortillas. In March 2015, archeologists stumbled across an entire lost city buried hip-deep in the dense Honduran jungles. The team named the city as the ‘Monkey God City,’ and found sculptures, earthworks, residences, and burial mounds as well. Because of Honduras location it is a common route for drug smuggling from South America to North America.